Serve pizzas and become the ultimate Pizza Chef! Pizza Chef is a fun free game from Ape Apps where you are given a job at a pizza diner and must work your way up top chef. Your customers will place pizza orders that you must build and serve before the time runs out. Use ingredients to build the perfect pizzas and get paid money by your happy clients! Finish the pizzas and earn enough money to move on to the next day. Fail, and you lose your job! 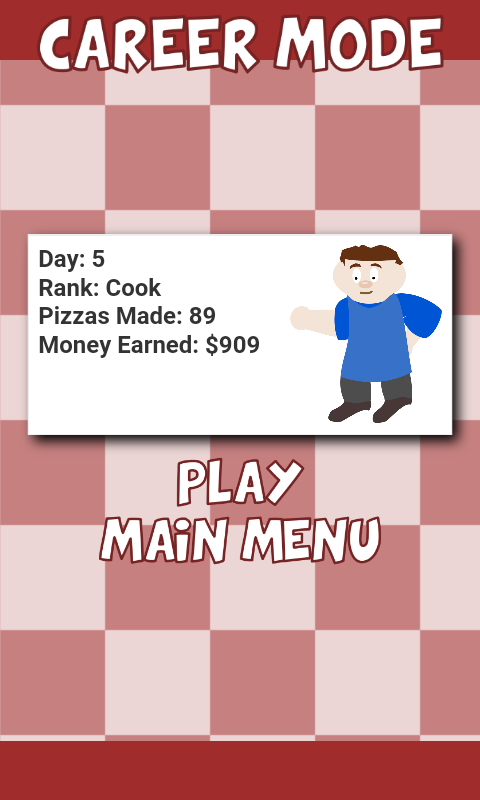 In Pizza Chef, there are two main modes of play: Career Mode and Time Attack. In Career Mode, you must earn one hundred dollars each day in order to progress on to the next day. 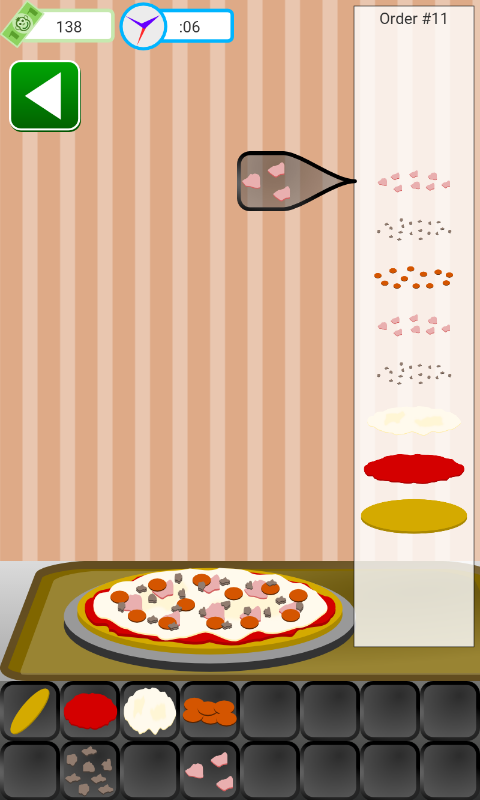 As you progress, the levels become harder as more ingredients are added to the pizzas, and the orders start to get more and more out of control. Keep your customers happy! Career Mode contains a total of 50 levels for non stop fun and family friendly action. Time Attack mode is unlocked by reaching day 10 in Career Mode. In Time Attack mode you are given 20 seconds to build as many pizzas as you can. Each time you complete an order, you get 10 more seconds added to the clock. Pound out pizzas as fast as you can and see how much money you can make! 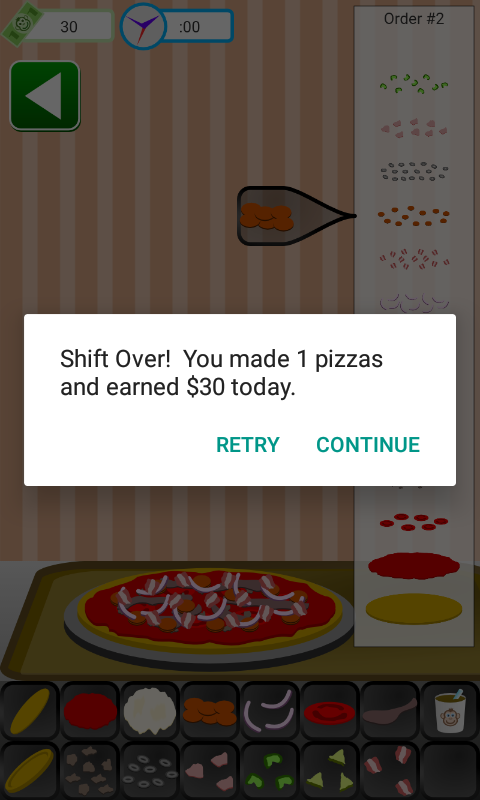 Pizza Chef is an entertaining game of skill, wit, reflexes, memorization, and time management. It is a fun game for kids and adults of all ages!